Microsoft Exchange is a platform widely used for texting or messaging and it contains various unique features such as Exchange online, secure working environment, collaborative sharing and much more. Moreover, users can save the relevant information of Exchange Server in two different ways i.e. public(Pub1.edb) and private (Priv1.edb) information store database. Typically, EDB is a file format used only on Exchange Server and it is also known as Exchange Database file. It is designed on a single client-server architecture. The data file stores some essential mailbox items which include emails, calendars, contacts, attachments, folders, etc. Having so many features, still many users try to convert pub1.edb to PST. So, this article explains the complete conversion process so that users can transfer their data without any trouble. Instant Solution: If you want to perform the conversion process in quick and simple steps then you can also use EDB File Recovery Tool. Exchange database files have a limited amount of storage space to store the information. Problems arise when the EDB file size exceeds the default file size limitation. Sometimes, the Exchange Server fails to perform any kind of task. There is no direct method available to perform the conversion process from Exchange Mailbox to Outlook PST. Therefore, to perform migrate, users can use Microsoft’s add-on utility i.e. ExMerge.exe. 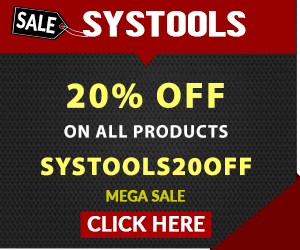 Although, this tool has many benefits as it preserves the data from duplicity, used in brick level backup to save the copy of all mailboxes also. You should first install and configure the ExMerge.exe utility in the system. After that, start the software and sign in to the Exchange Server. Then, Exchange Mailbox Wizard will appear. Click Next to proceed. Now, select the procedure between the displayed options which you want to implement. After that, select Extract data from the Exchange Server option and Click on Next. Next, a dialog box will appear i.e. Data Selection Criteria. Then, choose Import Procedure >> Archive Data to target Store. After that, Click OK.
Click on Message Details and then fill all the required details to Exchange Server and Click on Next button. The current window will display the list of all the mailboxes which contains the selected Server. Next, choose the Exchange Mailboxes which you want to export and click on Next button. Select the desired location where you want to save the output PST files and verify the path by selecting Change Folder. Click Next button and you will see the progress status. After completion, Click on Finish. Note – This utility fails if you are using Exchange 2007. 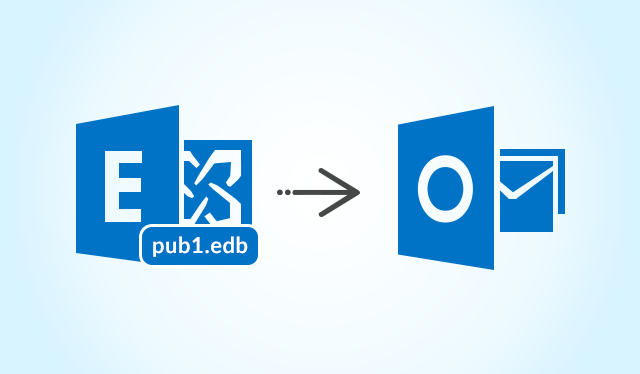 It takes so much of time and efforts to migrate pub1.edb to PST. Next, create a separate folder to store the converted PST files and allot any name to that folder. Now, right click on the specific folder and it will show he properties. Click Share Folder. After that, assign Read/Write permission and click Share option. Copy the desired location path of the shared folder and save the location path in notepad. At last, run the script shown below after the completion of the task. In this script, the MailboxName signifies the name of mailbox and EnterPath signifies the location of the folder where you want to save the output file. Create a shared folder where you want to transfer the mailbox. Moreover, few important points are to be kept in mind. 1. You must create a clean-up script to delete the data files in the future. 2. Do not create a folder on hard disk where log files or database exists. Now, set the Shared and Security level by selecting the Permission tab. Next, allocate the Export Permission to Mailbox. Follow the following steps to assign the permission. 1. Start EAC by using Organization management and choose Permission tab. Double click on the Recipient management and select all from the role. 2. Choose a Role under the page and click on Mailbox Import Export option. Select Add and then click on OK button. 3. After that, choose to Add option under Roles selection and select Mailbox Import Export in a new window. Click Add and then OK.
At last, Export public folder and other data into Outlook PST file to complete the pub1.edb to PST conversion. 1. Launch EAC. Select mailboxes and a list of Exchange mailboxes appears. Choose an EDB file that you want to transfer. 2. Now, right click on the mailbox and then click on Export to PST option. Then, browse the selected mailbox. Finally, Click on Finish button after the completion of the process. The manual methods which are mentioned in the above section consumes too much of time and effort. To execute these methods, the user should have some technical knowledge as well because any mistake in any of the step can cause permanent loss of data. So, overcome all these problems, it is always suggested to use any third party application i.e. Exchange Recovery Software to transfer public folders to Outlook PST file extension. This application is designed specially to perform the conversion process in an efficient way. After analyzing the problems faced by the users, we have discussed manual procedures to migrate public folders to Microsoft Outlook. If the users are not able to perform the conversion process using manual method successfully then they can opt for a third party application to convert pub1.edb to PST in a secure and reliable way.